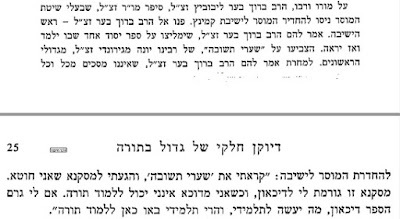 In the book Mesoras Chasam Sofer, (compilation of articles on the chasam sofer) published and edited with footnotes by Rav B S Hamburger he has some piece that the Chasam Sofer stoppd his sons(non married) from learning the holy sefer Rieshis Chochama as too stringent and can cause depression. 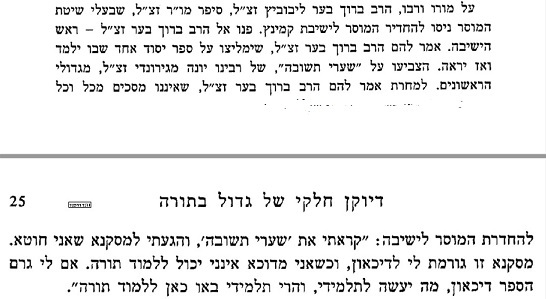 The chidush with reb Burech Ber is, that he stopped his disciples to learn Sharia Teshuvah of Rebinie Yonah which is quoted in poskim as halacha, is it different then Rambam Hilchas Teshuvah? Q. So why are chasidim always happy and lutvaks depressed, it's an age old question. "Depression is a common mental disorder. Globally, more than 300 million people of all ages suffer from depression. Depression is the leading cause of disability worldwide, and is a major contributor to the overall global burden of disease. More women are affected by depression than men." I would argue the opposite, the "Sharia Teshuvah" will make you happy not sad, after all the 300 million worldwide "depressed" people (including lutvaks) are not into learning the "Sharia Teshuvah"! If you will say who's your "revizal", favel will tell you his. deal? Ohr Hachaim. Not orach Chaim.